I forgot to mention this recipe makes 2 of the glasses shown in the picture. I used coconut water. I liked this one! Fresh, not too sweet. Did you know that you can use lemon juice to help fight constipation? A glass of warm water with the juice of a lemon in it taken first thing in the morning will kickstart the liver, and help to empty the bowels. 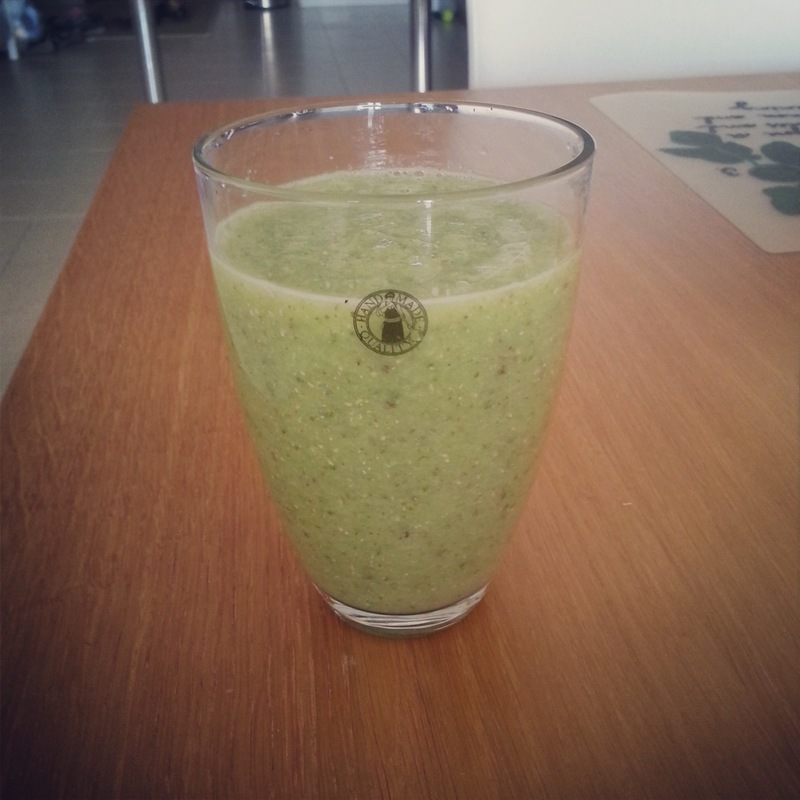 Tags: 30daygreensmoothiechallenge, recipe, smoothie, youngandraw. Bookmark the permalink.